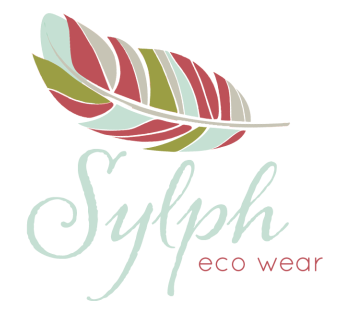 Our clothes are designed with three things in mind: style, comfort and sustainability. We use ecologically produced fabrics and low impact dyes and inks to create clothing that you can dance, stretch, run and play in. Added bonus? You look great, too. What more could a girl ask for? We work predominantly with hemp, organic cotton, and bamboo. Much (though not all) of our fabric is hand dyed, so each piece truly is unique. 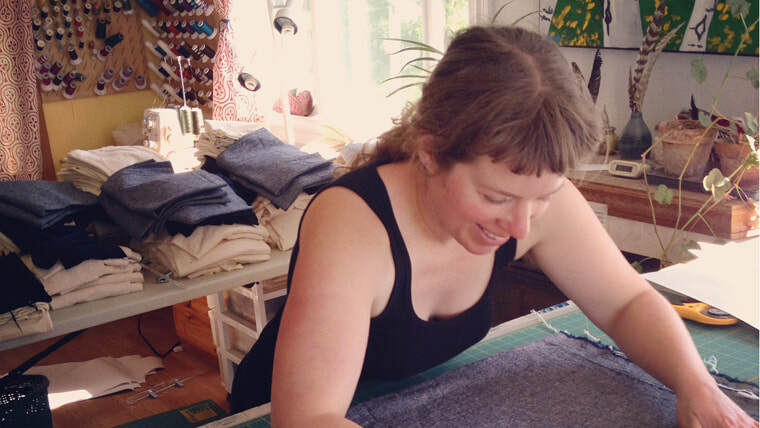 Owner Aimée Charbonneau cuts, dyes, sews and prints every piece in her on-farm studio in Grey County, Ontario. Aimée has been sewing and knitting from an early age. 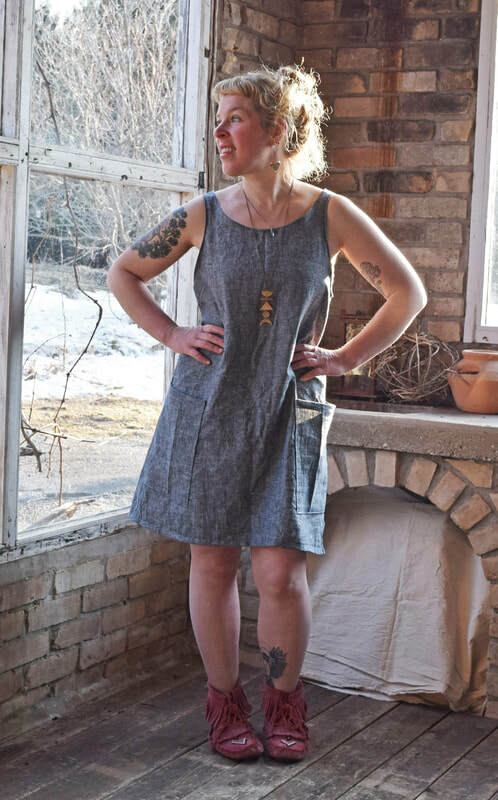 In high school, she began making her own clothing. She's held the motto from her old brownie belt, 'always be prepared', near and dear to her heart. She strives to make clothing that looks and feels fantastic, and leaves you ready to climb trees, dance the night away--whatever the occasion calls for. In addition to Sylph, she also runs Sol Beauty, her all natural soap and skin care company. When she's not sewing or making soap, you can usually find her out roaming around the farm, playing guitar, or tucked into the couch with a cup of tea, knitting another sweater.